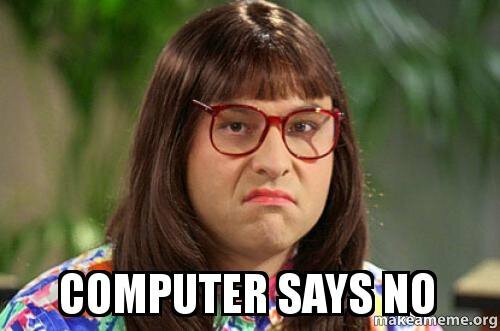 opening a file attachment to install ransomware on the victim’s computer to encrypt all files on the victim's internal network and hold them for a ransom. If you do not have a reliable person to that can make these changes, then you should get in touch with us, and we can provide you with local, secure email services with these features enabled. Our services also utilise the latest anti-phishing technology and are very competitively priced. Did you know that every email has two different senders? 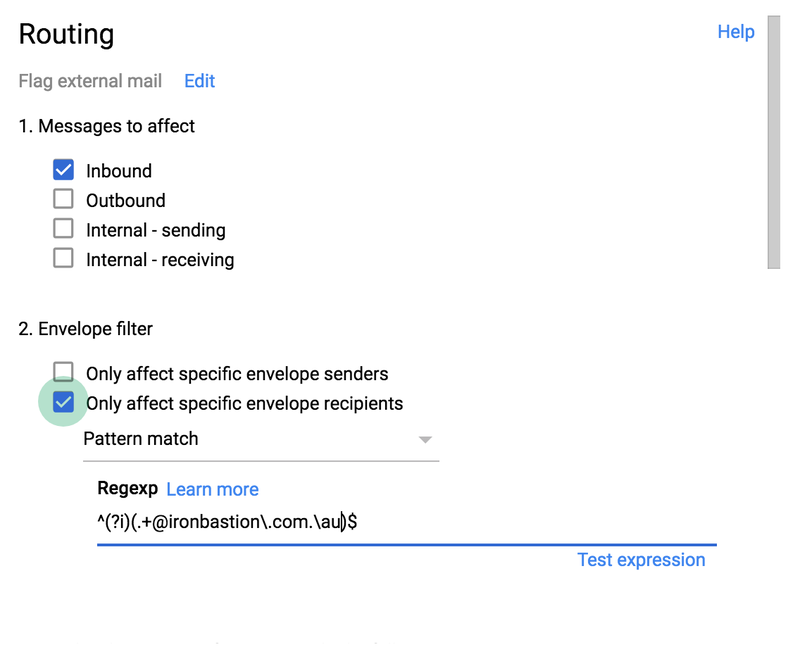 One email address is called the 'envelope sender', and the other is set in the email header. The latter is known as the 'From:' header, which is normally displayed by the email clients, like Microsoft Outlook. 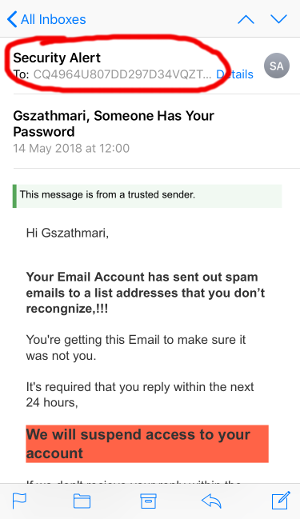 Unfortunately, cybercriminals can forge the 'From:' header to trick email clients into displaying a name and email address which belong to your business. Adding SPF, DKIM and DMARC to a business's domain name record is not as complicated as it sounds. 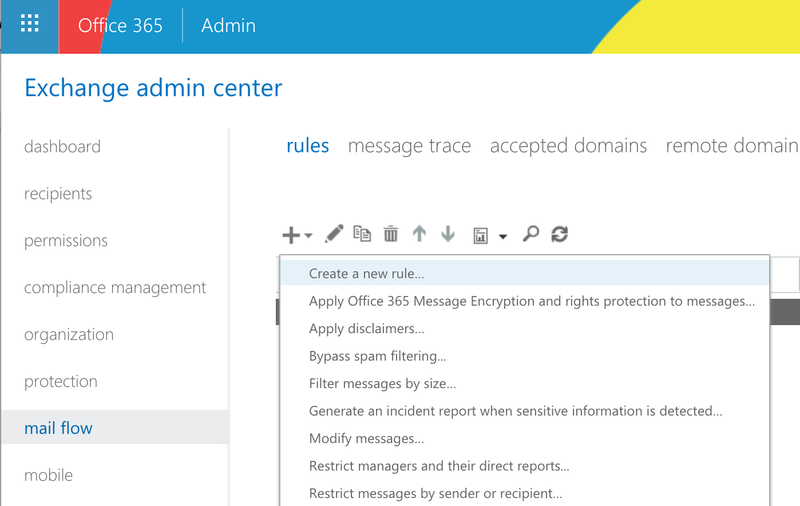 In cases where your business uses Office 365 or G Suite you only need to follow the instructions set out below for your mail provider. Remember what we said about email having email sender addresses? We have yet to create one final record: DMARC. Contrary to popular belief, SPF alone cannot prevent spoofing. Without the DMARC record, cybercriminals can still forge the email address of your business as SPF is only verified against the invisible 'envelope sender', but not the 'From:' header. In other words, the criminals can spoof the sender’s email address, and it will still pass the SPF checks – and this is why you need the DMARC record. 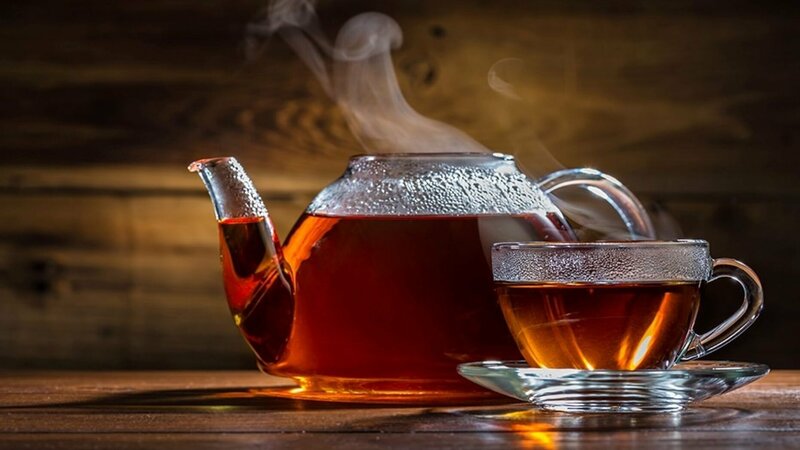 Congratulations, time to reward yourself with a nice cup of tea. 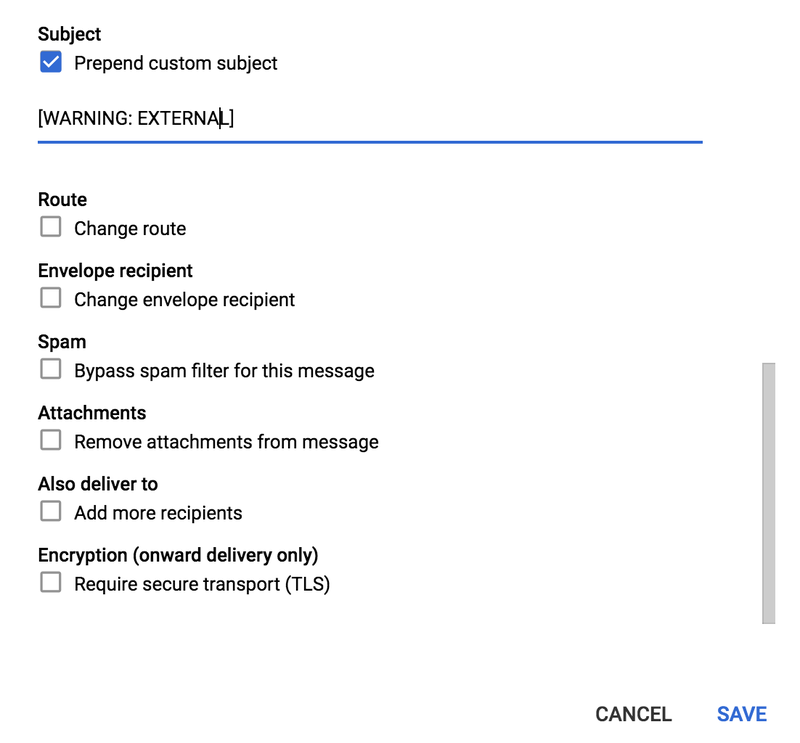 If you have created all three records, emails from your domain with a forged sender will go straight into peoples junk email folder from now on. That is for your own email service, and any other email service which use DMARC. If you want to be harsher about how to treat emails with forged senders, then you should investigate setting DMARC to 'p=reject'. If you are not providing your employees with training to identifying deceptive emails then your organisation is at risk of becoming a victim of phishing. Iron Bastion can provide Phishing Awareness Training for your busines. Our service provides effective, hands-on and measureable training for your employees at very competitive pricing. 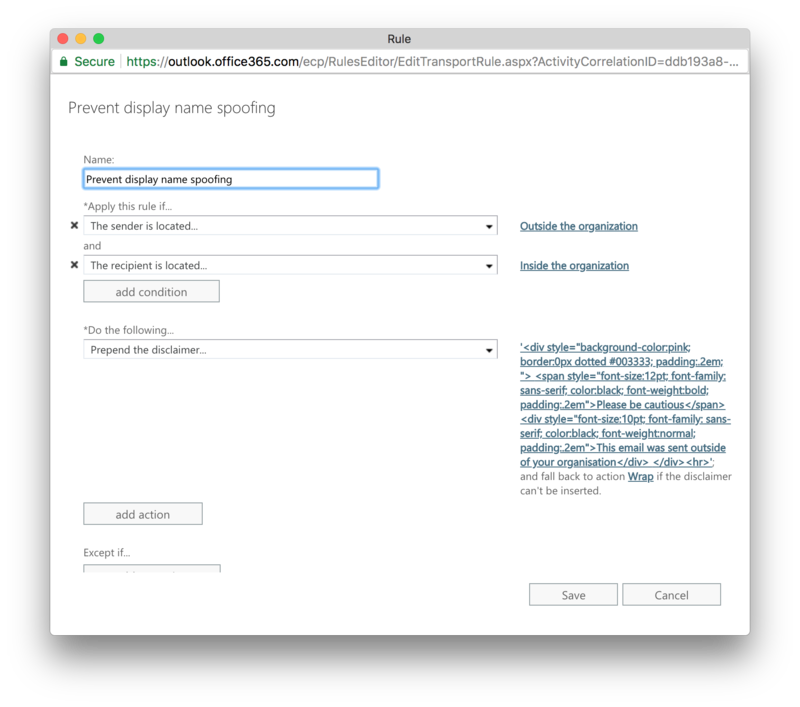 Email Address Spoofing and Sender Name Spoofing are techniques that cybercriminals rely on in email-based impersonation attacks. 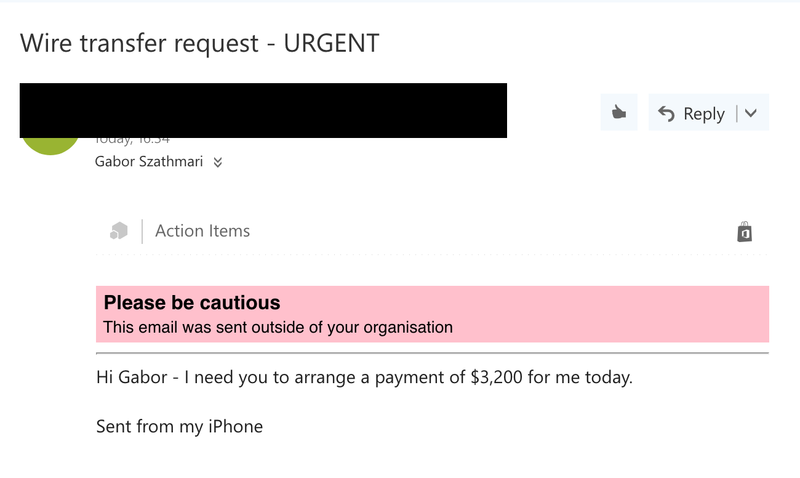 The goal of these scams is to deceive personnel in an organisation and trick them into making payments or sending sensitive information to an attacker. 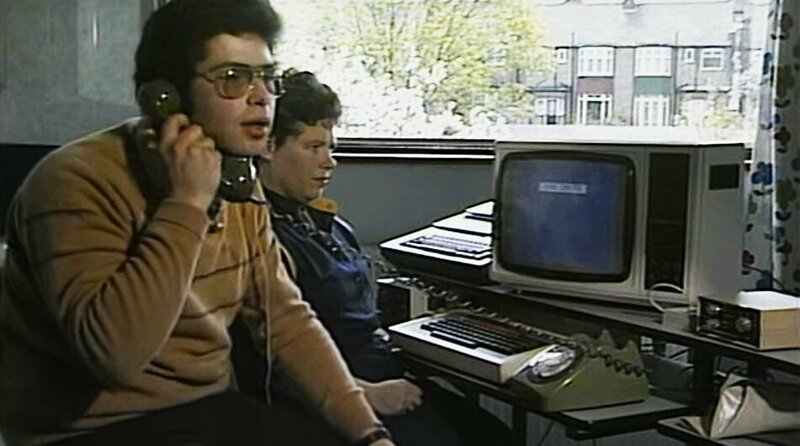 Due to the design decisions made in the 1980s, email cannot guarantee the authenticity of the sender. Various practices are used by criminals to falsify the sender of a message, and each of these email threats needs to be dealt with differently. 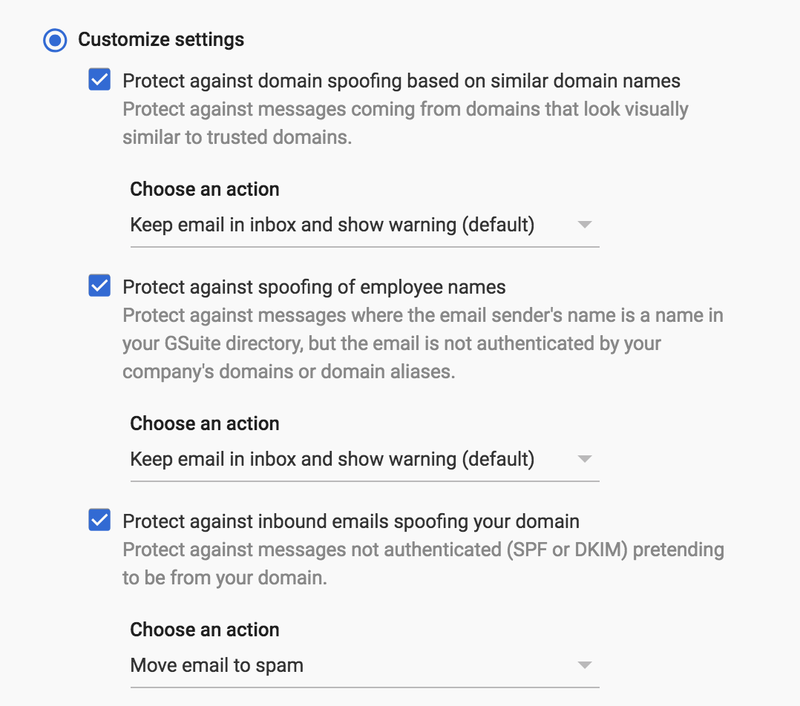 While a simple change to a business's DNS to include SPF, DKIM and DMARC records can combat Email Address Spoofing attempts, Display Name Spoofing attacks require you to train employees to be more vigilant. Visual clues can be added to incoming emails to warn employees when an email has not come from someone internally. In addition, anti-phishing services can screen emails for phishing using advanced technologies to minimise your organisation's risk of becoming a phishing victim. We offer a range of anti-phishing services which are cloud-based, fully managed and easily integrate with your existing infrastructure. Our team are qualified cybersecurity professionals, and all our staff and operations are based in Australia.